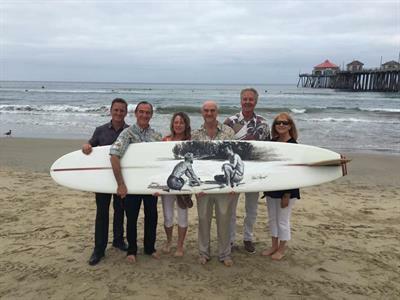 The Rotary Club of Huntington Beach proudly presents, Surfboards On Parade 2018 – A participatory art experience fundraising event, where acclaimed artists are invited to create art on surfboards shaped by legendary shapers. The 20 surfboards featured in this exciting collaboration will be “on parade” at select locations throughout Huntington Beach to educate and inspire current and new audiences around the world on Surf City USA’s rich surfing heritage through the cultural arts. 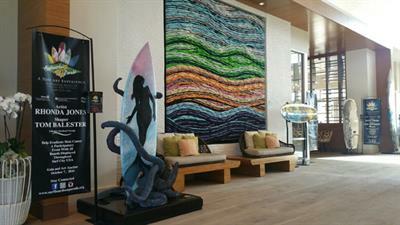 The Unveiling Party is August 1, 2018 at the Shorebreak Hotel, in conjunction with the 25TH Anniversary of the Surfing Walk of Fame. Proceeds benefit the Rotary Club of Huntington Beach Charitable Foundation, Operation Surf, Memorial Care / Orange Coast Medical Center, and the Surfing Walk Of Fame. Note: August 2nd through October 6th, the boards will be on "parade" through-out downtown Huntington Beach. On October 7th, at the Hilton Hotel, the event will culminate in the Art Auction and Gala.